Corsica is an island and region of France located in the Mediterranean Sea. It is a territorial collectivity and therefore has more autonomy than other French regions. Napoleon Bonaparte was born in Corsica. These are actually a set of individual wars that sometimes overlap, succeed, or run parallel to each other. Image: Jacques-Louis David, Napoleon Crossing the Alps (1800), Kunsthistorisches Museum. The work of art depicted in this image and the reproduction thereof are in the public domain worldwide. The reproduction is part of a collection of reproductions compiled by The Yorck Project (DVD-ROM, 2002). The compilation copyright is held by Zenodot Verlagsgesellschaft mbH and licensed under the GNU Free Documentation License. The successive numerical coordinates for the Coalitions offer regularity, but that regularity is undercut by the shifting make-up of that Coalition (sometimes Prussia was in, sometimes not; sometimes Russia, sometimes not) and by the discontinuity and ambiguity of the dates. Mary Favret, "The Napoleonic Wars"
Napoleon Bonaparte died on 5 May 1821 while in Exile on the island of Saint Helena. 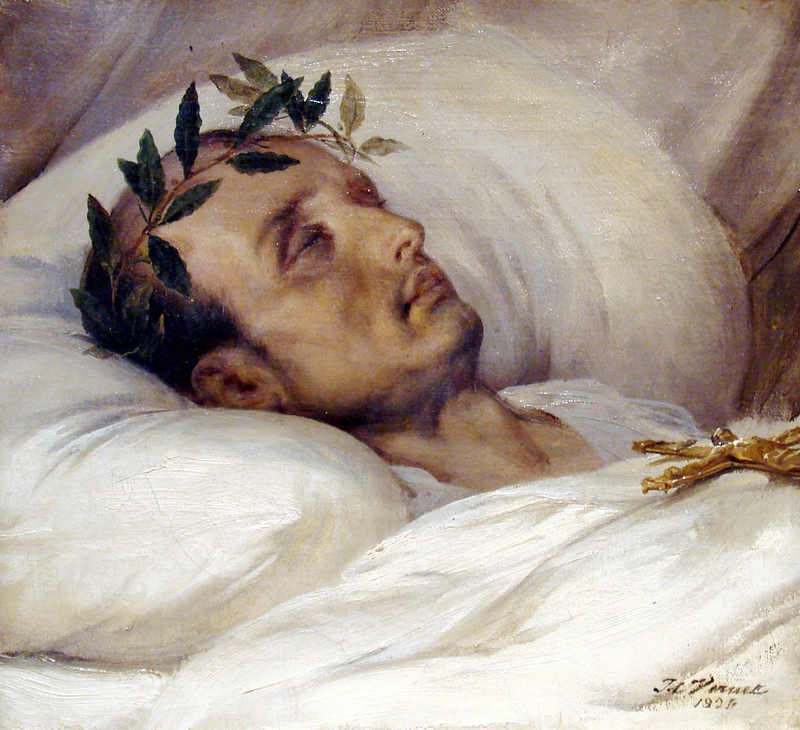 Image: Horace Vernet, Napoleon on his Death Bed (1826).